As I type this, I am watching a wet, heavy snow fall outside my window. I should be posting about a hearty soup, paired with a crusty loaf of warm homemade bread. Snow? In May? *Sigh* I'm so ready for winter to be over! I have had so much fun making my own yogurt. You can use the WARM setting on your crock pot or wrap your bowl of yogurt in a heating pad and some blankets. Update 2016: It's now even easier to make yogurt in my Instant Pot pressure cooker! If you don't make your own yogurt, find a plain store bought yogurt in the taste and texture you love. I love being able to make my own yogurt, as it only uses 2 ingredients (milk + starter), then I add pure vanilla extract and sweetener. I can make my yogurt as mild as I want. Don't have an ice cream maker? Don't worry. David Lebovitz has a technique HERE that works. I also saw a blogger who chilled her KitchenAid bowl and whipped up her partially frozen ice cream. 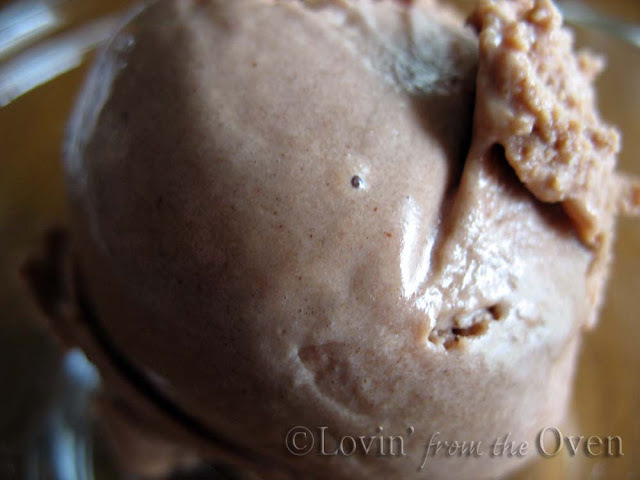 I searched the Internet and found a very simple, LOW FAT and easy chocolate frozen yogurt recipe on Allrecipes that got rave reviews. No eggs are required and it got a double thumbs up around my house! Stir together the cornstarch and sugar, and place in a saucepan. Stir in the evaporated milk, and chocolate chips. Cook over medium heat until chocolate is melted and the mixture is thickened. Stir constantly to prevent burning. Remove the mixture from the heat, and stir in the plain yogurt and vanilla. Refrigerate until chilled. 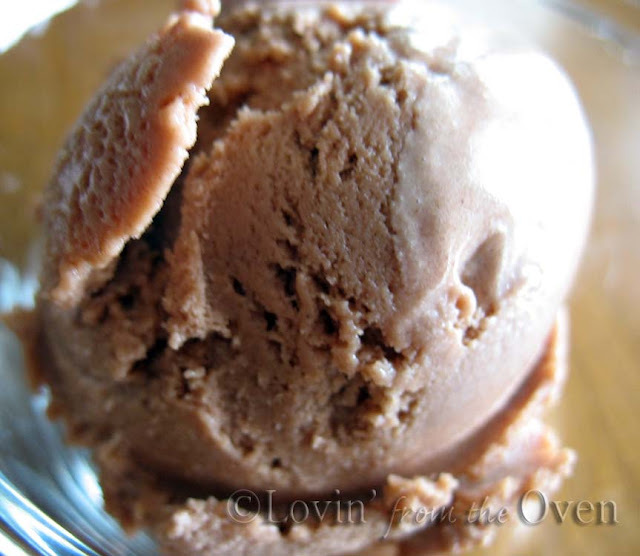 Pour the mixture into an ice cream maker, and freeze according to the manufacturer's instructions. We have 92 degrees with 90 percent humidity . . . maybe we could take our two weathers, add them together, and divide by two . . . I bet it would be beautiful! =) The frozen yogurt sounds perfect! Can you believe this snow? Crazy. Love the idea of low-fat anything, but this looks and sounds delicious! Thanks for all the tips! That frozen yogurt looks so refreshing. 90 degrees here today but we had freezing cold last week. It would appear that there isn't going to be a happy medium this year... straight from winter to summer. Mags, 90º? What happened to Spring? I have a bone to pick with Mother Nature...watch out! Would this work if I use homemade yogurt that I've ready added SCM too? I'm assuming I could just cut back the amount of sugar in the mixture, but thought I'd check.